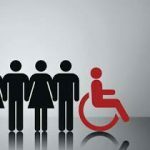 Does your Household include someone with Disability? Since Government ratified the UN Convention on the Rights of Persons with Disabilities (CRPD) a commitment exists that people with disabilities must be ‘adequately housed’. This is an issue I raised last May with the County Council, and again on September 24th, because the problem is huge. In the county area alone over 1,000 households are identified which include disabled people who are not adequately housed, the figure in the city area is only slightly lower. The County Council allocates less than 100 properties to people with disabilities every year, the city even less than this. Only a handful of Disabled Persons Grants are issued each year, these would be used to modify existing properties, install wet rooms, wheelchair access and other enabling adjustments. I recently met a homeless man, who occasionally needs a wheelchair, depending on the state of his disability, who was allocated a property by City Council that doesn’t even allow wheelchair access. I know a mother who has spent years carrying her now 14 year old disabled daughter up a stairs to use the bathroom. The mother is aging and her daughter is getting heavier and so she has had to revert to nappies – to continue carrying her daughter is too dangerous. City Council are aware of these cases for many years, but they have failed to act; unfortunately there are thousands of similar cases throughout the country. Nationally there are over 6,000 households that include people with disabilities on the housing lists, they are not adequately housed. But there is another estimated 3,000 not even on the lists because there housing needs are deemed satisfied as they are in publicly supported schemes such as HAP or RAS, they are excluded from official figures even though they are not adequately housed either. Last May I got Cork County Council to write to the Minister asking how he was going to deliver on the rights of disabled people as set out in CRPD – to date (October) he hasn’t even replied. There are some very good things in CRPD for disabled people, we need local Councils to act on them. Councils claim they are under resourced, but there appears to be plenty of funds for courting big business, paying external consultancies and non-frontline activity. 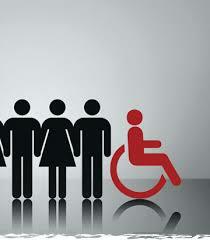 It is time to deliver the equal society promised, disable people have rights, we should all demand this.